We set out to compile a truly comprehensive and up-to-date overview of the best known and proven B2B lead generation strategies. So, without further ado, here are 20 ways to generate more sales leads. If you have spent a lot of time and money creating lead generation strategies to attract sales, but at the end of the day aren’t getting the results, it can be depressing. Unfortunately, you’re not the only one out there. Many top marketers and brands were thinking about ways to generate more sales leads, before they turned things around with the help of proven lead generation hacks. So let’s dive into the deep end of things, here are the best lead generation strategies that can generate up to 110% more sales leads. Bear in mind that these are lead generation strategies, which require knowledge, time and resources to implement. But in the end, the results are far more rewarding than with some quick fixes. B2B lead generation tactics and techniques are something else, although we will mention some. 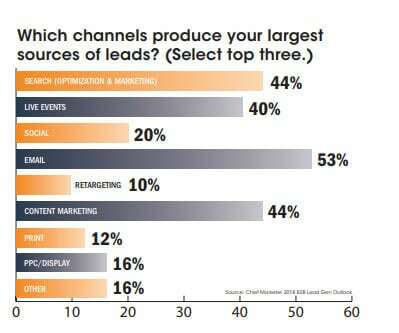 B2B marketers leverage several channels to generate leads for their businesses (content, buying sales lists, LinkedIn or ABS tools). But often these channels don’t yield the result expected of them. Leads are something without which any business will definitely head for doom. But you probably already knew that. Sales leads are potential prospects who can become customers and ambassadors of your business if you play your cards right. 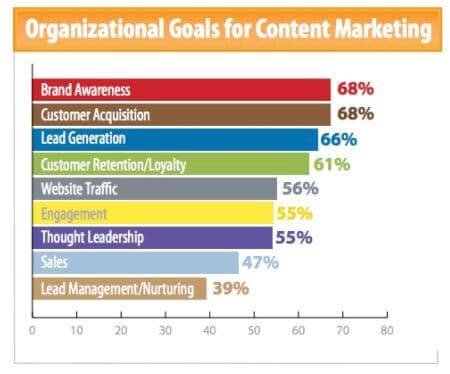 Your company might have many goals but recent stats show 66% of organizational goals focus on lead generation. With rapid advances in technology, and for that matter its availability to people, we witnessed many changes in how real experts in their fields do business. Most importantly, this continuous progress also influences the way people make purchasing decisions. Having this in mind, shifts in the way buyers buy also have to be reflected in the way sellers sell – at least if what you want for your company is sustainable growth and by extension a predictable, repeatable sales process. But, let’s start with the basics. The core asset for a successful sales team is constantly being equipped with appropriate targeted sales lead lists. Our goal here is to provide you with a comprehensive overview of the best known and proven to work strategies in generating sales leads. Before we begin, it is important to emphasize not all of these methods work for every company. What are the best lead generation strategies in 2018? According to BOP Design’s 2018 survey, B2B marketers get the most leads from word of mouth, while company website is the second largest lead gen channel. And when we check Chiefmarketers annual report we can see some variation. These reports are helpful but you shouldn’t blindly follow what works for others. One of the most important tasks of any company is to know who their buyers are, and especially so for the sales team of that company. So if you are still testing the grounds, thread lightly – choose what fits your process and make sure to test and measure to find out what approach lets you reap the ripest fruit. That is why we are making this list in the first place. Ways to generate leads below are not listed in any particular order. 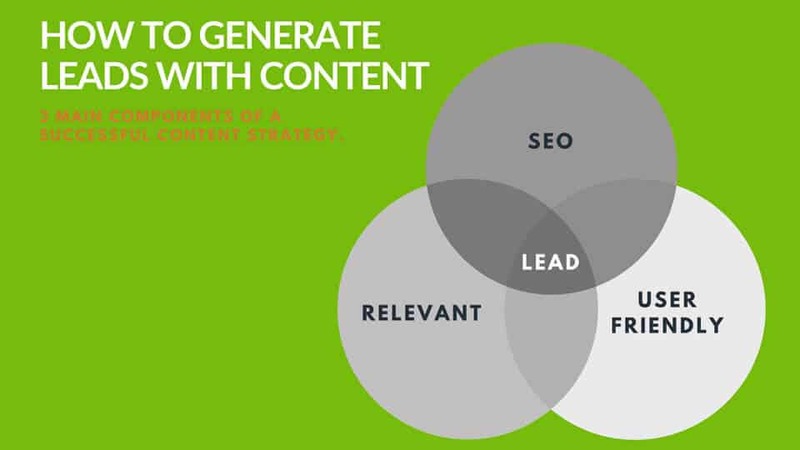 Content is the most powerful lead generation strategy and works in conjunction with other strategies. Everyone is talking about it, but many give completely false or incomplete advice. A common misconception is that content is free and easy to implement – it is not. While you don’t necessarily need to pay for content creation, if your niche is very competitive you can bet that someone is. You may love your cheesecake recipe and it may be the best in the world, but if your business is about Data protection no one would read it (except that one IT guy who loooves cheesecake). If it is relevant, content can give you an amazing advantage over your competitors and direct the majority of customers towards you. It requires constant engagement on your part, but it can also offer a constant inflow of new leads. With regards to using SEO to improve lead generation, you have to identify keywords or key phrases that your prospect search for and then create your content around these keywords. As emphasized before, the times when SEO was just about peppering your content with keywords are long gone. How to generate leads from a website? You have to make sure the content you post is valuable, relevant and informative. It has to educate your audience and bring value to them – this is the only way you can improve your search engine ranking for the future and also to position yourself as an expert. If someone says otherwise they are referring to malicious tactics, known as Black Hat SEO, which may give short term results, but the punishment is very severe. When you follow the best SEO practice for generating content it is already a great step towards good user experience, but the best content usually has exceptional user experience. You could write the most informative guide, but if it’s just a huge block of text you won’t get any results. It’s like that professor with monotone voice who would make you fall asleep. But your users are not forced to stay on your website, so they will bounce right away and never come back. Writing different types of content, if all of it is relevant, informative and provides value to your readers/potential clients, establishes you as an authority in the field. Additionally, with appropriate calls to action, you will also receive contact details of warm leads that can be handed to your sales team to take further and eventually close deals. Having a blog also provides a steady inflow of leads since you will regularly publish content and attract people. Your blog will also greatly contribute to your positioning in search engines, and you should leverage this channel to the best of your ability – the more relevant the better, so hire an expert or put real effort into it. Content is never free, whether you invest your time or pay someone to do it for you. And if you want the best content, there is not a single person in the world who can do topic and keyword research, writing, design, video editing and even custom coding web pages at an exceptional level. Just to be clear, your own blog is just the tip of the iceberg – publishing case studies, whitepapers, podcasts, videos, guest blog posts on other websites and blogs, writing articles and books, newsletters, etc, should also come at some stage of your development. Among lead generation strategies to grow your business is hiring other people to generate and qualify leads for you, in order to give some “meat” to your sales team. You have to be careful here as to precisely define whom you are targeting and what “qualified” means for you. Best lead generation companies can help you with that. However appealing this may sound, in practice it can turn out to be a nightmare. Qualifying leads on your own can be much more rewarding, and less costly than dealing with and coordinating between several freelancers or a lead qualifying company not familiar with your process, value propositions and such. Just make sure the lead generation agency or individuals are acting as a part of your company and taking actions which are in your best interests. Otherwise, you’ll end up dealing with obsolete data, leads not fit for your outreach and such, so you get more than you bargained for. Sometimes less can be more. A dog might be a man’s best friend but when it comes to business there’s no friend better than a customer referring your business. This is how leading brands retained customers. Getting a lead from a happy customer is the best form of sales lead you will find. Existing customers already know what you are offering and have a good idea of what the referred prospects need. They will explain to your prospect why your service is helpful and how it solved their problem. This makes the prospect highly qualified. It’ll also provide you with tremendous credibility with the prospect since they know you come well-recommended from someone that they know and trust. Happy customers give you referrals and a lot of times without even you asking for it. This does not mean you should not encourage them to spread the word-of-mouth but don’t go overboard. It’s practically free of charge. The only cost might be a “thank you” gift or a commission. You can create a referral program and pay a percentage for every deal closed. Your acknowledgment will bring you more referrals from the same customer. These sales leads come with a much higher point of trust, that the sales professionals like to call “borrowed trust”. All you need to do is follow up accordingly to show your trustworthiness. They also have a much higher closing ratio. Referral-based sales usually close at 50% to 70%, much higher than the usual 10 – 30 percent from other lead sources. Moreover, your current customers know what you are offering and especially what sets you apart from others. In turn your customers have their own networks and can probably identify who is a good fit for you. Don’t expect your sales to rely on referrals or to generate a lot of new customers this way. In case this works for you, a good step to maxing out the results of this approach is having Referral Agreements in place or other means of encouraging your current partners to let others know they should climb on board and receive the benefits of working with you as well. Having traditional ads in newspapers, or a digitally published magazine, and TV or radio commercials can primarily build brand awareness and be used more by your marketing team. However, this approach is bound to get you at least some sales leads, so when creating these you (or your marketing team) should be aware of this additional purpose. Make sure you have the messaging and visual identity that lets people know who you are and what you do then make sure it sells. On another note – radio commercials might not be as expensive as you think so you can use this as a testing ground. If you make sure your printed materials have an appealing visual identity, great offer and call to action you can get very hot sales leads this way too. Maybe this method of generating leads is more convenient for companies targeting local markets, but it can be effective for other purposes depending on what you sell. People love pretty and useful things, a creative business card can sell faster than a 5 minute phone call. This approach adds up to other methods used to raise brand awareness mentioned earlier, so it might not be evident immediately, but it can pay off in the long run. 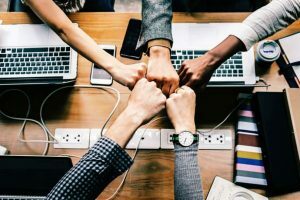 This might not be the fastest way to get sales leads, but if someone in your company is constantly working on connecting you with just the right people – people who could potentially be your clients, it will pay off in the long-run. This approach is rather different than direct sales – it is less hunting and more nurturing and farming. You can also try joining networking groups based on interest such as the ones existing on LinkedIn. As opposed to buying a qualified lead list or buying already built lists, this approach can bring you more opportunities than you can imagine. There are specialized lead generation companies out there which can compile high quality, targeted lead lists under almost any criteria you can think of. These lists might not be qualified, but benefits offered by this approach outweigh the fact these leads are cold. Namely, through this kind of lead generation, you will be getting exactly the decision makers and influencers responsible for your service or product and nothing else. You can contact us for this kind of lead generation service. By partnering with companies who cater to industries and markets which are your target customers you can get a lot of high-quality sales leads and warm referrals from your partners. Results here can be amazing, however, you should first establish such a partnership and make sure your partner is encouraged enough to spread the word and actually make warm introductions, rather than simply introducing. Selling can also be done if you organize events, such as seminars, webinars, and e-conferences where you get an invaluable opportunity to talk about features and more importantly the benefits of your solution. This is my favorite lead generation hack. It’s cheap and a relatively easy way to get your useful message in front of a targeted audience. And chances are most of them asked for it in exchange for their email addresses. 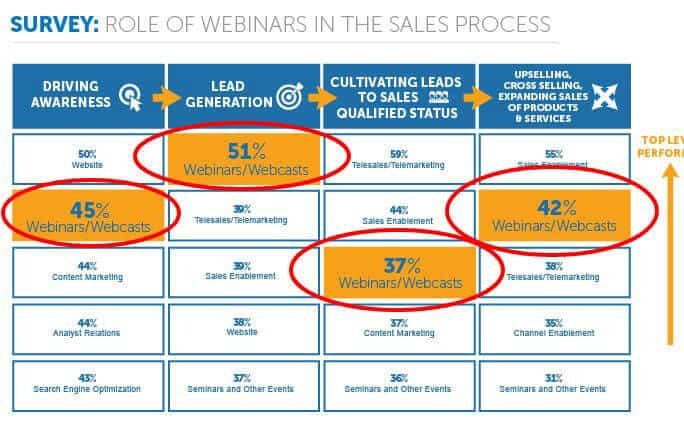 A staggering 52% of today’s top successful sales managers believe webinars and seminars are the most effective for generating quality sales leads. 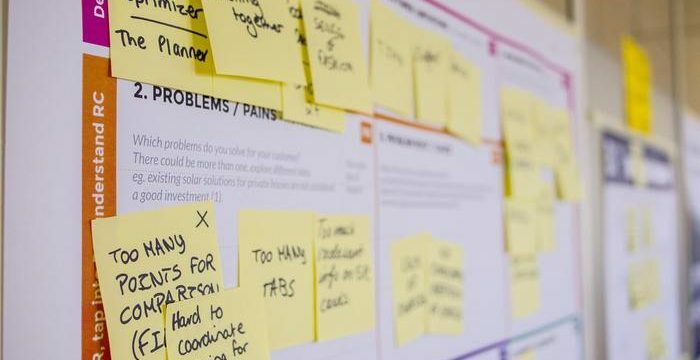 In a recent case study, Rally Point revealed how a small consulting firm used webinars to generate over 100 new, qualified leads which in turn, led to $50,000 in sales being discussed. The challenge most companies face when hosting a webinar is to get enough people to sign up for it. You can drive webinar registration by linking it straight to your contents or simply by advertising it through social media. Successful lead generators know the power of webinars. Here you can generate leads, nurture them and build a thriving relationship with multiple prospects. According to a recent survey by ReadyTalk, 30%–40% of webinar attendees are converted into leads. Bringing people together in a virtual platform increases trust, leads and sales. No matter what your industry might be, you have to recognize that people want to belong. People who attend this kind of events are already interested in your type of product or service and they leave their contact details. Features tell, but benefits sell. Let them know what sets you apart from others and what benefits they could have if they worked with you. You should also seriously consider being an event attendee yourself. Take into account quantity and quality together, and it’ll be hard to find a better sales lead generator than an event presentation. Presenting your business in an event will instantly give you name, face, and recognition. It will literally separate you from hundreds and thousands of competitors trying to get noticed in this noisy marketplace. And put you on an elevated pedestal. Make sure to follow up with customized letters, calls or emails to individuals that you meet. By doing this in a timely manner, you will stay on top of their lists. Owing to Market Republic lead generation expertise you can even schedule meetings in advance, before the conference, with the decision makers you know will be attending. As with internal events, make sure you know what sells at all times. Email marketing is a very powerful lead generation method. Content: you should provide relevant and engaging content, especially for the purpose of objection handling. Subject lines: your email can have the best content but if it no one opens it – you are talking to the walls. Need cold email tips? Read this. Call to action: increase conversion rates by testing various calls to action in your emails which drive readers to engage with your organization. Automation: lead generation through email marketing is much easier when you implement CRM tools. For some companies, having a public relations expert can be a real gold mine. If you hired an expert they will get you free coverage on TV, in the newspapers, on the radio at a different event, and if of all these channels are also catering to your target markets and industries – boom! You will have a steady flow of interest by very warm leads. Just make sure your messaging, offer and call-to-action are straight to the point. Even though telemarketing lead generation is considered a thing of the past by some companies, it is not ready to be put to the history shelf yet. Lead generation in digital marketing can be enhanced with telemarketing, as it has the greatest effect when used in combination with other methods like direct mail and email marketing. 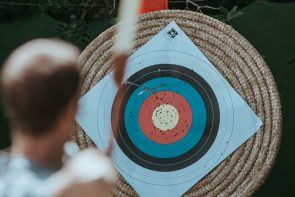 Make sure you get familiar with your target market before using this technique – while cold calling is quite usual in some markets, you will get a very low response rate in other markets. The biggest advantage of Telemarketing is live communication and the ability to quickly qualify prospects and get immediate feedback. In B2B sales the process is much more complex, so it can be easier for decision makers to talk to an actual person and get live response. If you already started reaching out to your leads in either way, you also have a CRM and surely have a lead generation database to track record of what happened with leads in the past. It is smart to perform an analysis on your historical data, determine what happened with leads where you didn’t close the deals and recycle. This should also include revising your messaging and the way you presented yourself. Depending on feedback from these leads, you could reach out to them again after three months or more if you feel that is appropriate. You will be amazed how many more convert. Sales is not just the right messaging and benefits you offer – in a lot of cases it matters when you reach out to these prospects. LinkedIn has its advantages in comparison to Twitter and Facebook. The obvious advantage is that LinkedIn is a professional network primarily rather than a social one as the latter two are. You can leverage the myriads of search filters and other options on LinkedIn so you target as precisely as possible. says Mike Volpe, CMO of HubSpot. LinkedIn Groups are an amazing networking and, by extension, sales background since they gather people of the same or similar interests. LinkedIn ‘Groups’ are organized around the pain points and obstacles faced by many buyers and their geographic location. This makes it particularly easy to view what your sales leads are talking about. LinkedIn gives you instant access to 500 million members as of April 2017. Use LinkedIn’s advanced search and filtering tools to quickly identify influencers and decision makers and then save them as leads to create high-quality sales lead lists. Fight the temptation and do not try to sell your product right off the bat, just offer help. Take time to create a connection and then make the sale down the road. 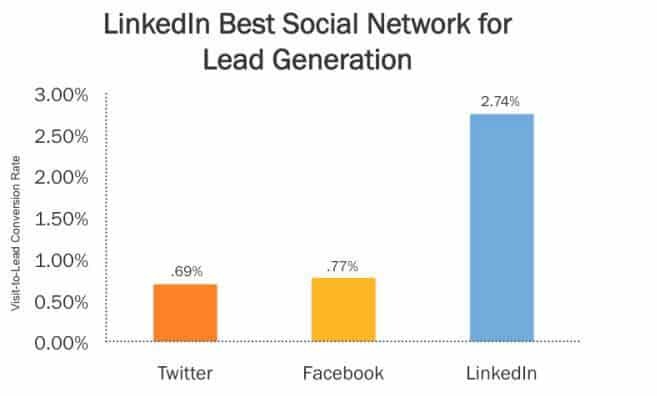 In April 2017, LinkedIn also introduced its own Lead generation forms and their ads can help you target the exact decision makers from your desired companies with relevant content. You should also leverage your company’s LinkedIn page to post relevant content and insights and consider doing LinkedIn campaigns to target companies fit for you. The greatest way of using Twitter to generate leads and sell your product or service is by utilizing hashtags in your tweets and promotions. Think from your buyers perspective and implement hashtags that they would be using to find your product or service. Also, you can create your own hashtags following the same philosophy. Facebook advertising might not be the cheapest of options but it can make your time and money return multiple times. Facebook has neat detailed filtering options which can be used to create custom targeted campaign. Some lead generation companies, especially the ones having a semi-manual methodology in lead gathering can get you Facebook IDs of your business contacts. This is even more targeted and allows you to hit your prospects through multiple channels. Read more on these lead generation tactics for Quora. Once you establish a sound social media presence – a relevant and substantial follower base you can try organizing competitions of different sorts. This is proven to generate a lot of leads, but it will highly depend on how relevant your follower base is and how imaginative your competitions are. Again, make sure to present yourself in the best light. A lot of companies leverage PPC (pay per click) campaigns and SEO to their absolute advantage. If you are inexperienced in the field consider hiring an expert – you will get your money’s worth and see results quicker. This area has become a science in itself in the previous few years. An increasing number (or the most of) buyers nowadays go to the Internet, or more specifically Google when they need a service and search for it. If you are smart you are going to devote some serious thought and time into this and predict what your buyers search for. If you want to amplify the effects of SEM (search engine marketing) and PPC campaigns you have to pay attention to keywords. People are now more likely to search for longer phrases or even type in entire sentences in search engines, so you should use long-tail keyword phrases in your campaigns. Not only does this reflect what your prospects are doing when searching for a solution to their problems, but it also drives very targeted traffic and very targeted buyers. You should be careful about where your contact details or a contact form is placed on your website. Most people use search engines to find what they are looking for so you cannot always predict where they will land on your website. In order to make contacting easy – provide your contact details on every page of your website and make it noticeable. It’s very likely your customers can either shop online on your website, or find you on the Internet. Having a visually appealing, modern looking website which loads quickly goes without question. But also bear in mind buyers use a variety of devices to reach you – optimize your website for different devices so customers find it convenient to use. Apart from being attractive, your website and e-shopping experience has to be very easy or obvious to use, informative and well structured. Adding convenient features to your website such as live chat can boost your conversion rates. This will allow your customers to get answers (and hopefully make a purchase) in just several clicks as opposed to searching for contact details. No one likes waiting on the phone and dealing with a potentially sales-hungry person. Adding up to the previously described tactics – making the experience of working with you smooth and enjoyable can help you boost your sales further. 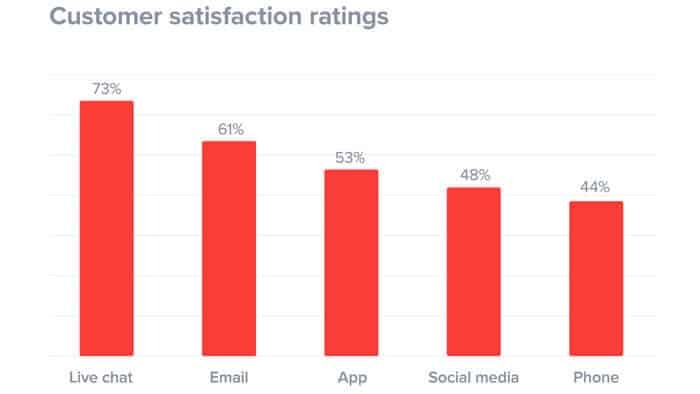 An enjoyable sales experience allows your customers to be very relaxed when they come back for more and it also allows you to establish a more personal connection with them. Depending on the way your sales works this can be very rewarding, e.g. if you are generating more revenue from repeated sales with the same customers rather than with new customers. If your customer has a quick, no-fuss enjoyable initial purchase it makes it much more probable they will purchase again sooner rather than later. 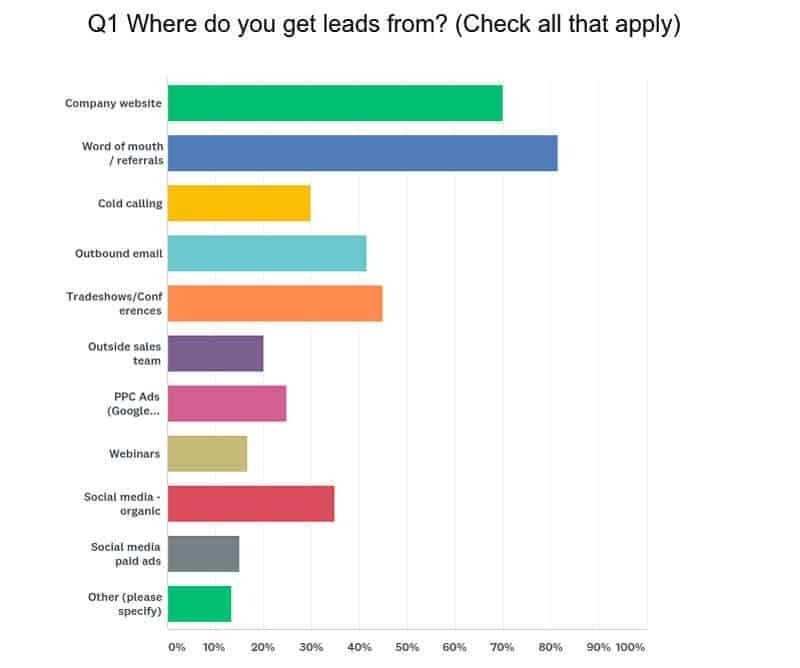 Which lead gen strategy to choose? Making decisions about which approach to use to see the most benefits and ROI, as well as creating and sustaining a high quality sales process and sales funnel is not easy. Most successful companies use several approaches to fill in their sales funnel. You can generate leads online and offline. The approaches listed above are not the only ones, but are frequently used. As to what works for selling your product, service or solution – that will be up to you and up to your customers. A good starting point is to try a few, test, measure and stick with the ones giving most results. However, if you are not sure where to start or you decide you want expert help, contact us for a free consultation. You probably heard about Quora marketing and the huge number of organizations that had great success with this platform. 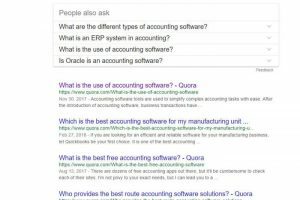 Learn about three different ways to generate B2B leads using Quora, with detailed instructions, tips and takeaways.